Ohio is home to several addiction treatment options. The drug and alcohol rehab centers included on this page have been carefully chosen based on their patient success rates, reviews, and accreditations. Ohio, the Buckeye State, is the proud home to the Rock & Roll and Football Halls of Fame. The famous astronauts Neil Armstrong and John Glenn were both born in Ohio. The Cleveland Cavaliers along with Ohio-native Lebron James won the NBA championship in 2016. But like other states, Ohio is also home to those suffering from addiction. Ohio has many options when it comes to finding quality treatment for drug and alcohol addiction. 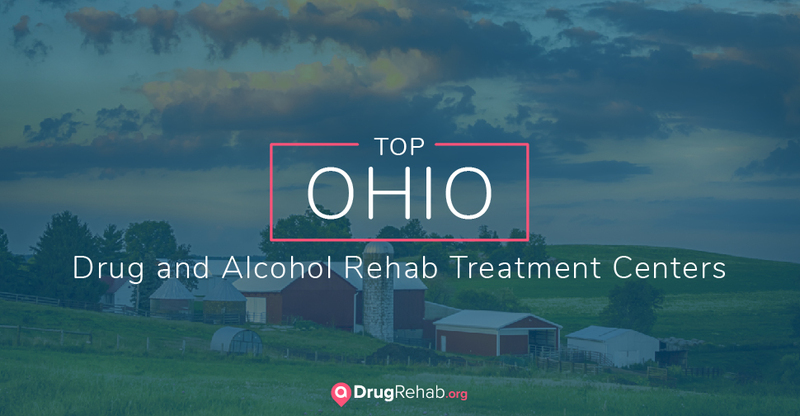 We have compiled a list of some of the top Ohio drug and alcohol rehab centers based on positive reviews, patient success rates, and facility environment. These quality treatment programs have helped many people struggling with addiction to reclaim their lives. Beckett Springs, located in Beckett Ridge, houses a 48-bed behavioral hospital that provides adult inpatient and outpatient services for addiction as well as family support, resources, and education. This facility also offers a partial hospitalization program for residents that may need 24/7 attention but don’t need the intensity of inpatient treatment, with medical care available. Residents of the inpatient program at Beckett Springs receive extensive clinical and medical assessments, psychiatric stabilization, and rehabilitation services for living a life of sobriety. This program provides the benefits of a structured and secure atmosphere with 24 hours of available nursing attention and intensive treatment, which differs from the wiggle room of outpatient treatment. The Bluffs is an inpatient treatment facility located in Sherrodsville, Ohio, that provides individualized drug and alcohol treatment programs for men and women. Its retreat-like setting offers a breathtaking view of the bluffs as well as private rooms and a healing and comfortable environment. The Bluffs bases each patient’s treatment plan on his or her individual needs. Therapies offered include dialectic behavioral therapy, family support, adventure therapy, and medication-assisted programs. The Bluffs also provides medically assisted detox programs as well as aftercare support for a full continuum of care. Columbus Springs, located in Dublin, Ohio, provides patients with integrated treatment programs to treat mental health and addiction in a comfortable and safe environment. They offer a variety of treatment services, including detox, inpatient, and outpatient programs. The inpatient program at Columbus Springs is an intensive, highly-structured treatment plan that is personalized to each patient. This program helps adults ages 18 and older overcome psychiatric, addictive, and co-occurring disorders through the use of medication management, cognitive behavioral therapy, Mindfulness-Based Cognitive Behavioral Therapy (MCBT), solution-focused therapy, and trauma-focused therapy groups. They also incorporate holistic therapies, such as art and yoga therapy, into their program. Another option for drug and alcohol abuse treatment is New Destiny Treatment in Clinton, which is connected to the Barberton Rescue Mission of 1961, whose mission was to house those struggling with addiction and homeless people. This facility, spanning 13 acres of beautiful grounds, is founded on Christian principles with 65 beds available. The stay is typically 9 months of residential intensive treatment. This facility believes that 9 months is necessary for an addicted brain to heal and for the body and spirit to return to the level of functioning prior to active addiction and any trauma that may be present. Northland Treatment Center provides discreet and intensive outpatient drug and alcohol treatment and is located in Milford, Ohio. Their treatment programs include outpatient detox services as well as medication-assisted treatment, aftercare, and family therapy. The outpatient treatment program offered at Northland Treatment Center focuses on rehabilitation from a drug or alcohol addiction, relapse prevention, education, and other aspects of a complete and successful recovery experience. The outpatient programs generally last a minimum of 6-8 weeks and include 3-4 weekly counseling sessions. Since it first opened its doors in 1970, Center for Addiction Treatment (CAT) in Cincinnati, Ohio, has been providing support and services for those struggling with a substance abuse disorder. CAT firmly believes that addiction is a disease and is not something to be ashamed of, and all of the treatment options offered at this facility center on this unique approach. Center for Addiction Treatment offers medical detoxification programs as well as outpatient services and short-term residential care. Each service provided is dedicated to helping addicted individuals find personal freedom and recovery from addiction. For many, detoxification is the first step towards finding lasting recovery from a substance abuse disorder. A medically-assisted detox program can provide the support needed to mentally, physically, and psychology withdraw from a substance. While it may seem easier to ease off of drugs or alcohol alone, depending on the level of physical dependence, this process can be uncomfortable and sometimes dangerous. A drug and alcohol detox program can help a person through the symptoms of withdrawal and ensure that the process is completed in a safe and comfortable environment. Ohio Addiction Recovery Center provides medically-assisted detoxification services that are catered to the unique medical and mental health needs of each individual to ensure the detox process is as comfortable and effective as possible. They offer several detox programs, include heroin, drug, alcohol, and medical detox. Inpatient drug and alcohol treatment is generally the recommended form of rehabilitation from a substance abuse disorder. An inpatient program allows the individual to be immersed in a healing and supportive environment for an extended period of time and eliminates any distractions while recovering from drug or alcohol addiction. Each treatment center is different, but the method of recovery is typically individualized to each patient’s needs. Rehabilitation programs may also incorporate more intensive treatment methods, such as dual diagnosis and medically-assisted treatment. Each treatment facility typically offers specific program lengths, but the amount of time a person will spend in a drug or alcohol rehab also greatly depends on his or her unique situation and needs. Treatment lengths generally range from 30 days to 120 days or longer. Short-term treatment, which typically lasts around 30 days, is best for those who show more mild signs of a substance abuse or have relapsed after an extended period of sobriety. Sibcy House at Lindner Center of HOPE, located near Cincinnati, Ohio, provides short-term residential programs for adults suffering from co-occurring mental and substance abuse disorders. Long-term treatment starts at 60 days and can range as long as one year. Christopher House, operated by TCN Behavioral Health Services in Xenia, Ohio, offers a Chemical Dependency Treatment Program for adult men that typically lasts 60 days. Their programs include dual diagnosis treatment, mental health counseling, relapse prevention, coping skills, and family education in addition to other programs. Many individuals suffering from a substance abuse disorder also have a mental illness, such as depression, anxiety, or bipolar disorder. This is called dual diagnosis, and many treatment facilities offer programs that are specifically aimed at treating co-occurring disorders. Columbus Springs in Dublin, Ohio, offers integrated programs for dual diagnosis that are designed to work with patients through every aspect of their recovery. Some of the more common mental health issues they treat in addition to drug or alcohol addiction include depression, ADHD, anxiety, borderline personality disorder, post-traumatic stress disorder, and bipolar disorder. Medically-assisted treatment incorporates medication support alongside other treatment methods. For example, methadone or suboxone can be used to treat an opioid addiction, as these medications produce a similar effect in the brain and can help wean the patient off of opioids. Northland Treatment Center in Milford, Ohio, provides a suboxone program for those addicted to opioids. Their medication-assisted treatment is used to complement a comprehensive program that includes education, counseling, and other support measures. Their suboxone program consists of five phases, including detoxification and introduction to suboxone, suboxone intensive outpatient treatment, outpatient treatment, continuing care and relapse prevention, and post-continuing care/aftercare. Additionally, Ohio has treatment centers that offer gender-specific programs. Gender-specific treatment provides programs that are catered to each gender separately. This can be very beneficial, as men and women experience recovery and life in general differently and it is often easier to form lasting bonds and open up with members of the same gender. Rural Women’s Recovery Program, which is offered through Health Recovery Services Inc. and is located in Athens, Ohio, provides a unique recovery approach to adult women that centers around the mind, body, and spirit. Their program focuses on every aspect of a woman’s life and journey in recovery while providing gender-specific support and therapy. The cost of drug and alcohol treatment is often the leading reason that individuals choose not to seek help. While the idea of paying for an inpatient or outpatient program can seem daunting, rehab is the first step to getting on the road to lasting recovery and a new life free from drugs and alcohol. The Mental Health Parity and Addiction Equity Act, which was founded in 2008, requires that companies with more than 50 employees provide company-funded insurance policies that offer mental health and substance abuse and addiction coverage. This had made it much easier for those with company-funded insurance to receive adequate coverage when seeking treatment for a substance abuse disorder. The amount of coverage each person will receive will depend on his or her plan and provider, but most insurances like the ones mentioned above will cover some if not all of the inpatient services or outpatient treatment. If you don’t have insurance or the insurance coverage you do have is limited, there are still many options to receive drug and alcohol treatment in the state of Ohio. Ohio has many vocational-based treatment centers, such as Teen Challenge and The Salvation Army, that receive their funding through the people who work at their facilities. Donation-based facilities are also an option. These treatment centers receive funds through a person or organization that donates money to support their cause. Additionally, many drug and alcohol rehabs offer scholarships or grants that pay for part of or all of their services. What’s more, like many other states, Ohio also receives funds from the government to provide free or low-cost treatment. It’s common for these types of facilities to have long waitlists, which can occasionally make it difficult to take advantage of this option. Outpatient drug and alcohol rehab gives patients the ability to live at home while receiving treatment for a substance abuse disorder. This option is best for those who cannot get away from responsibilities like work or family or who have a more mild substance abuse disorder as well as a healthy and supportive home environment. Cornerstone of Recovery, located in Columbus, Ohio, offers an intensive outpatient program that is ideal for those who do not require 24-hour residential care. Their intensive outpatient program generally lasts 10 weeks and includes services such as group, individual, and family therapy; coping skills; mandatory 12-step program participation; bio-psycho and addiction assessments, and aftercare programs. Like many other states in the U.S., Ohio is not free from the grip of drug and alcohol addiction. Nearly 300 thousand residents are dependent on or abuse illegal drugs and nearly 700 thousand are dependent on or abuse alcohol. What’s more, 15.3% of teenagers binge drink and 63% of adolescents see no great harm in drinking five or more alcoholic drinks once or twice a week. With that being said, only 8.4% of alcohol abusers and 17.5% of drug abusers seek help each year. We should also note that Ohio is among one of the top states in the U.S. in regards to the nation’s drug treatment rates. Addiction is a disease that impacts more than just the addicted individual. Its effects are far-reaching and devastating. Friends, family, and communities all suffer. But getting on the road of recovery is the only way to put the destruction in the rear-view mirror, and together everyone involved finds healing and hope. For more information on finding a drug and alcohol rehab center in Ohio, contact a specialist today. The facilities mentioned in this article are not affiliated with aDrugRehab.org.